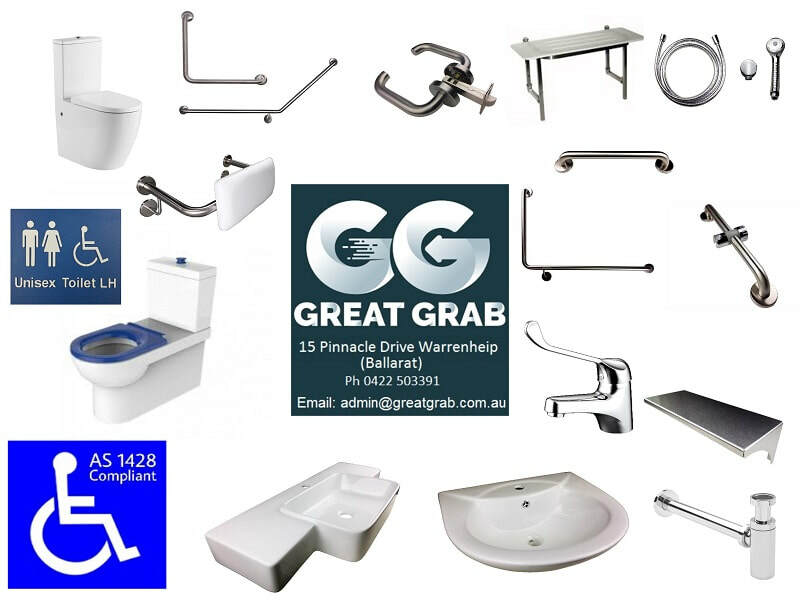 Disabled Toilets Melbourne is a subsidiary of Great Grab Pty Ltd. A family owned business that specializes in disabled bathrooms. We aim to offer great value products and service. All new commercial buildings now need to comply with AS1428.1. We get products made to exacting specifications to comply with the standard. For disabled bathrooms we supply such things as disabled toilets, toilet backrests, all grab bars, disabled hand basins, disabled mixers and much more. We like to put together package deals to offer even better prices. For those including showers in their bathrooms, we can provide shower seats, shower safety rails and shower fittings.